The National University of Bangladesh Degree 1st year form fills up notice 2019 for the session of 2018. National University officially chances for the students who haven’t fill up their form within 3rd February 2019. they can fill up their form now. National University has been published the notice of Degree 1st year form fill up. 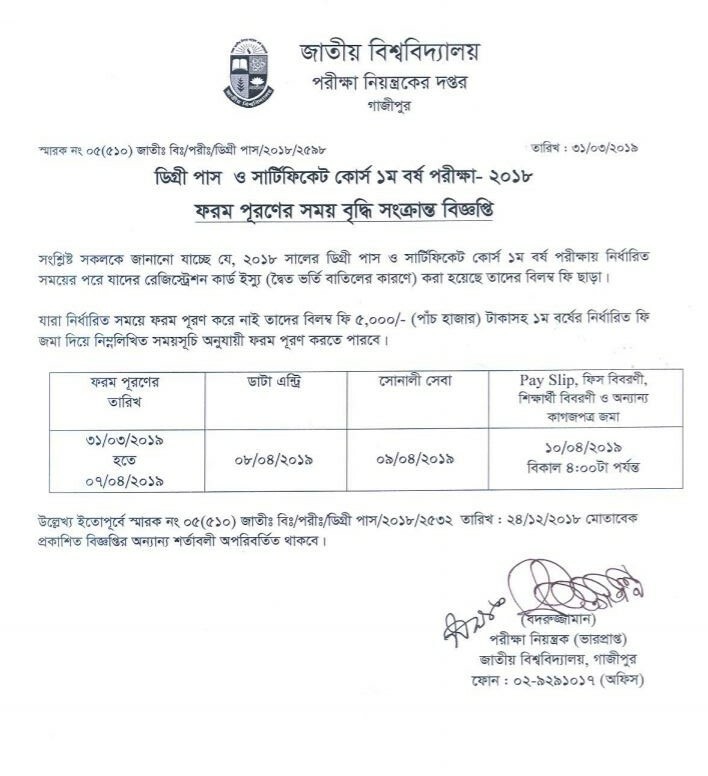 Important time and date of form fillup for the students of Degree 1st year under the National University of Bangladesh. Degree 1st-year form fill up will project by the online. Student what are interested to attend in the examinations they will have to fill up the form for the examinations. The notice has been published at 24 December 2018. And online form fillup started from 26 December 2018 and did line 3rd February 2019. The national anniversary of Bangladesh Degree 1st year form fill up fee details below. Firstly you have to go official website link. www.nubd.info/degree-pass. And click on apply now button. And then follow all of the sections which are on the form. Fill up this right now and submit. Official Application Link: www.nubd.info/degree-pass or Click of Apply Now option below. Students who are registered 2017-18 exam session can participate in this examination. Students who are registered at 2014-15, 2015-16 and 2016-17 as a (private) can participate in this examination. Who are failed in the previous examination they can participate in the failed subject and promoted subject in this examination. All of the students will have to participate “স্বাধীন বাংলাদেশের অভ্যুদয়ের ইতিহাস” subject. Students must participate in all of the examinations. For more information about Degree 1st year form fill up. 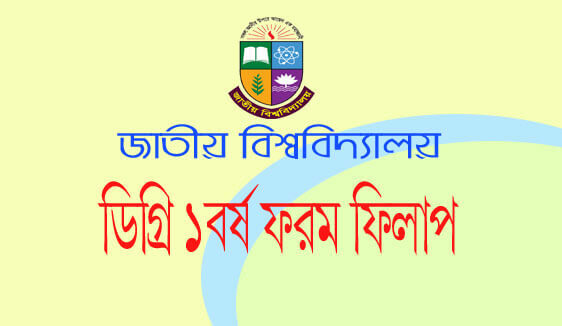 Stay with us we always all of the notice which is published by the National University of Bangladesh. Any kinds of information which are published by the National University of Bangladesh we are published here immediately. When you have to need any kinds of information about the result, admission and form fillup, and also examination routine, visit in this website. And also you can visit the official website of the National University of Bangladesh.